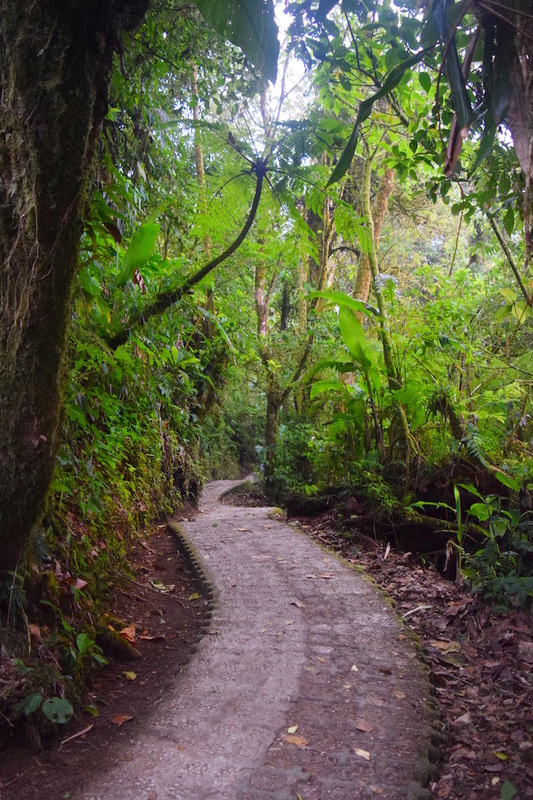 Monteverde literally translates to green mountain and once you arrive you will understand why. The entire forest is covered with moss and plants grow everywhere, on top of trees, on top of rocks and even on top of each other. The weather is pretty temperate since you are so high up and literally in the clouds. Monteverde is also filled with a ridiculous amount of birds, insects and other wildlife. Reaching Monteverde is (depending on the season) sometimes difficult and always long. On a map you may look at Monteverde’s proximity to La Fortuna or San Jose and think you can make it a quick day trip but you are mistaken. The road to Monteverde is 36 km long and winds up into the mountains. The last 16 km is a dirt road that is slow moving. More on road conditions to Monteverde here. Personally, I traveled there in the dry season with a standard rental car (no 4x4 for me because I was being cheap – don’t be cheap, rent a 4x4 with 4 wheel drive) and even though it took a long time I had no trouble driving the dirt road up the mountain. 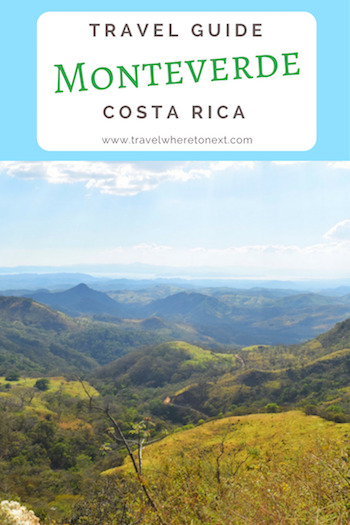 Top Tip: If you are spending more than a week in Costa Rica check out my suggested itinerary. Santa Elena vs Monteverde – Which Town is Better? 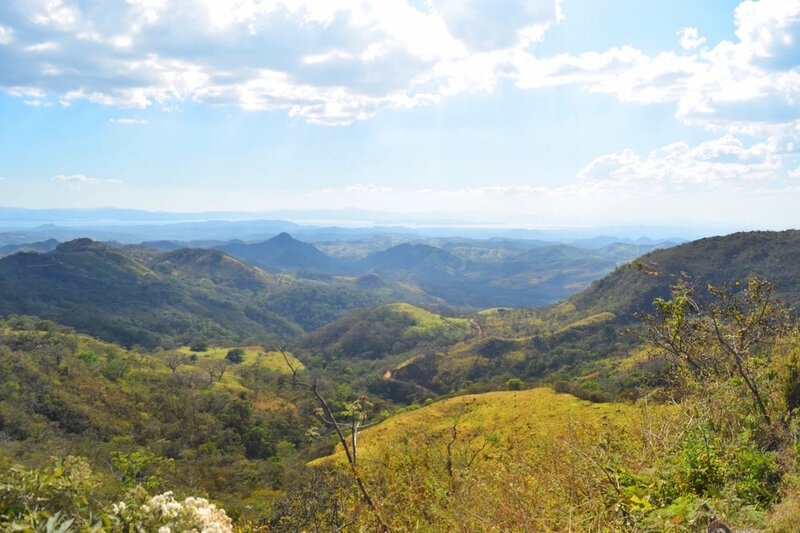 Once you reach the Monteverde area (aka paved roads – hallelujah) you will come upon two separate towns. Santa Elena is the first small town and where I stayed. (Specifically at Swiss Hotel Miramontes – a great budget option in Monteverde area. Review here.) Santa Elena is compact with shopping, restaurants, attractions and hotels all close together. From Santa Elena the small town of Monteverde dead ends at the Monteverde Cloud Forest Reserve. The town of Monteverde is more spread out and has less food/hotel options compared to Santa Elena. Top Tip: Especially if you are a nature lover, spend a couple of days in Monteverde. It seems like a small town but there is so much to do! There are hundreds of things to do in Monteverde from bird-watching, wildlife exhibits and gardens for nature lovers to zip lining, ATV tours and bungee jumping for adrenaline junkies. Nowadays zip lining is everywhere but did you know Monteverde was where zip lining began back in the 1990s!! There are tours all over Costa Rica that offer great zip lining tracks but the two best are in Monteverde: Selvatura and Sky Adventures. I have a full article that compares the two parks prices and offerings here. Hanging bridges in Monteverde are one of the most peaceful ways to explore the cloud forest and spot nature. Again, the best two are in Sky Adventures and Selvatura Adventure Parks. If you can handle it many companies offer guided night walk tours (including Sky Adventures). There are a whole slew of creatures and animals that come out at night and a night walk tour is a unique chance to see them. For about $30 you can book a 5 hour trek up the mountain and enjoy spectacular views on horseback. Although you will probably see natural wildlife on the trails in Monteverde there are also some great wildlife exhibits. One of the more unique things to do in Monteverde is climb the inside of a hollowed out tree. There are tours available to purchase that will include this but if you want to do it on your own it is possible! Outside of entrance of the Original Canopy Tour is a small trailhead. If you follow it for about 15 minutes you will reach a huge tree. Enjoy and be careful! There are many coffee tours available in Monteverde. You can combine the tours as well and experience coffee, chocolate and sugar cane all in one day. Tours may include a ride in a traditional ox-cart, sugar-cane demonstration, or chocolate-making component. There are many options in Monteverde from high-end all the way down to hostels. I stayed at a budget hotel on the edge of Santa Elena. You can read my full review of Swiss Hotel Miramontes here. Located in the main square of Santa Elena, go here for the experience of eating next to a huge tree, not the food. The band that played was great but again the food was over priced and kind of awful. Also in the small town of Santa Elena is the best coffee in not only Monteverde but Costa Rica. I brought a bag home and already went through it. Stop here in the morning for a great cup of coffee. A great sandwich and bread shop on the edge of town. The backyard is peaceful and the pastries and sandwiches are delicious!